What are common causes of snoring? Is snoring a symptom of another disease or condition? How can I get my partner to stop snoring? What kinds of doctors treat snoring? How is the cause of snoring diagnosed? What natural home remedies help a person stop snoring? What anti-snoring aids and devices help stop snoring? What foods or drinks may help a person stop snoring? What medical treatments help a person to quit snoring? Snoring is a sound that occurs when sleeping as airflow causes the tissues in the back of the throat to vibrate. The sound of snoring usually occurs as you inhale, and it can happen any time while you sleep. Half the population snores at some point, though snoring is more common in men than women, it can run in families, and it happens more frequently as we age. There are a number of causes for snoring. If you're living with someone who snores, the first step is making sure they know they snore (if they are not awakened by their own snoring they may not be aware of it). Next encourage them to visit a doctor to diagnose and treat the underlying cause. You also can help your partner track their snoring habits if the doctor needs a sleep journal. They may try some of the home remedies mentioned previously to stop snoring. Consider sleeping in separate bedrooms. This is often a last resort and a personal decision for partners. Many kinds of doctors treat snoring, depending on the underlying cause. You may first consult your primary care provider (PCP) such as a family practitioner or internist, or a child's pediatrician. For further testing and management of snoring or sleep disorders such as sleep apnea you may be referred to a sleep medicine specialist. Allergies may be treated by an allergist, and asthma may be treated by a lung specialist (pulmonologist) or respiratory therapist. If you have nasal deformities such as a deviated septum or nasal polyps you may see an ear, nose, and throat specialist (ENT, or otolaryngologist), and if you require removal of your tonsils or adenoids you may be referred to a general surgeon. Sometimes an oral appliance is helpful to help stop the snoring. This may be fitted by a dentist. The diagnosis of the underlying cause of snoring will depend on the symptoms and the suspected reason for the snoring. The doctor will start by asking about allergies, medications, and whether you drink alcohol or smoke. The mouth, nose, and throat will be examined to see if there are any physical deformities that may be the cause of the snoring. If sleep apnea is suspected, you may be asked about whether you wake up gasping for breath, if you fall asleep during the day, if your partner notices you snore loudly or stop breathing while you sleep, and if your sleep is not refreshing. You may need to keep a diary of your sleep habits and snoring. 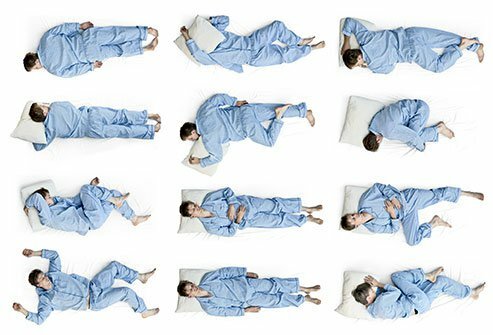 A sleep study may be necessary to monitor your sleep patterns and diagnose whether you have sleep apnea or any other sleep disorder. Don't sleep on your back. Don't take muscle relaxants (talk to your doctor before stopping any prescription medication, and ask about alternatives). Use nasal strips to open nasal passages. Take a hot shower before bed to open the sinuses. Antisnoring apps: For those who love technology, there are several anti-snoring apps available. Download these anti-snoring solutions them onto your phone or tablet, to figure out ways to stop snoring. These apps can help record your snoring, analyze your sleep, and even play sound to awaken you when they detect a snore. Nasal CPAP mask: This covers the nose only and is the most common type of CPAP. This type works best for those who breathe from their nose and they can operate with higher air pressure settings. It is not good for mouth breathers or those who have allergies or sinus issues. Nasal pillow: These are small prongs that insert directly into the nostrils. It is smaller and may be more comfortable for some people. It's also good for those with a lot of facial hair who cannot get a good seal on a standard CPAP mask, or for those who feel claustrophobic with a mask covering their face. They may cause nasal dryness and nosebleeds, or pressure ulcers in the nostrils, and can be less comfortable with higher-pressure airflow. Full face CPAP mask: This covers the entire nose and mouth and has side straps to keep the mask in place. It works best for those who require high pressure air flow, and prevents air leakage for those who sleep on their backs. It is not optimal for stomach sleepers, and can be difficult to wear glasses, watch TV, or read while wearing it. Tongue Stabilizing Devices (TSD) work by sucking the tongue forward or downward, increasing the opening at the back of the throat, helping to decrease the amount of tissue that can vibrate. Some people find them uncomfortable and they may cause increased salivation. Mandibular Advancing Devices (MAD), also called Jaw Advancing Device (JAD) work by moving the lower jaw forward to open up the back of your throat and let air pass through more freely. They also move the tongue forward. They may cause some discomfort or shifting of your teeth. A chinstrap will not help reduce snoring. A study by the American Academy of Sleep Medicine found that a chinstrap does not improve sleep disordered breathing and is ineffective in improving snoring. Non-dairy milk: Dairy can cause some people to have increased mucus, so plant-based milks will help avoid this problem (for example almond or soy milk). Hot tea: If you have a cold or sinus congestion that causes your snoring, hot beverages such as tea (with a little honey) can be soothing. Turmeric: This spice is known for its anti-inflammatory properties. Fruit and vegetables: These are full of antioxidants and fiber, and can help you lose weight. Peppermint: Stick with the oil (not the candy) for anti-inflammatory benefits. Horseradish: It can help dry excess mucus. Snoring can be prevented by preventing the underlying cause. If you have allergies, change sheets frequently and keep your bedroom vacuumed and dusted, and take doctor-recommended allergy treatments. Don't take muscle relaxants or medications that make you snore. Ask your doctor for alternatives. Never stop taking prescribed medication without talking to your doctor first. American Academy of Otolaryngology-Head and Neck Surgery. "Snoring and Sleep Apnea." American Academy of Sleep Medicine. "Sleep Apnea - Overview & Facts." Snoring - Overview and Facts. 2014. Al-Delaimy, W. K., et al. "Snoring as a Risk Factor for Type II Diabetes Mellitus: A Prospective Study." American Jnl of Epidemiology 2001;Vol:155, Issue 5Pp. 387-393. 4 September 2001. American Sleep Assoociation. Snoring Mouthpiece. 2016. Ha, Yoona. "Finding The CPAP Mask That Works For You: Pros, Cons, and Mask Types." Apr 07, 2016. American Association of Sleep Technologists. National Sleep Foundation. "Partners and Sleep." Spring 2005. Sleep Clinic. Surgical "Treatments For Snoring And Apnoea." Need more shut-eye? Your late-night cravings could be keeping you from a good night’s sleep. Should you drink green tea before bed? Learn about the snacks that raise melatonin, your sleep hormone, through tryptophan, and find out why whole-grain and high-protein dinners might help you sleep better. What the cause of your snoring, and how was it diagnosed? What home remedies or other techniques have been successful in helping your partner stop snoring? Please share your experience with antisnoring devices like CPAP or other aids and devices. What foods and drinks aggravate or help get rid of your snoring? Take this quiz and test your IQ of high blood pressure (hypertension), the cardiovascular disease that causes most strokes and heart attacks. How are dizziness, snoring, and gout related to HBP? Find the answer and learn how medical treatments and lifestyle adjustments fight this common problem. Learn about high-fiber foods. From fresh fruits to whole grains, these fiber-rich foods can lower cholesterol, prevent constipation, and improve digestion.